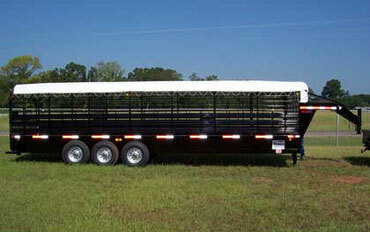 The C - C Ranch - Gooseneck Style Livestock Trailer Tarp Covers for all Brands of trailers! Even "custom made or home made" bumper-pull or gooseneck we fit them all!We sell Trailer tarps all accross the U.S.A.!! We can fit any size or any brand!! These covers fit as good as they look and add weather protection and versitility to any bar top livestock trailer. They are tough and long lasting and we can provide you with a cover for any brand trailer, even if yours was homemade. We can provide you with side tarps as well. We have used these covers for years on our Ranches and know you will enjoy them on your trailers as well. Go to our Trailer Tarp Tops department for current prices or just give us a call!Hay Mower Covers at discount prices! We can fit any brand and any size! Go to our Mower Covers section and find out what we offer. You will be glad you did!We ship all orders directly to you via UPS. 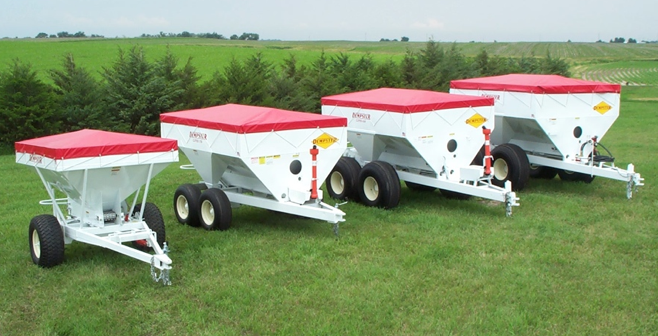 Give us a call @ 1-800-364-3551 Fertilizer Spreader Covers. We can fit any brand and any size! We can outfit any hopper with a heavy duty weather proof tarp. Protect your fertilizer, salt, chemical, or whatever from the weather. We want to be your source for Ag. covers and tarps. 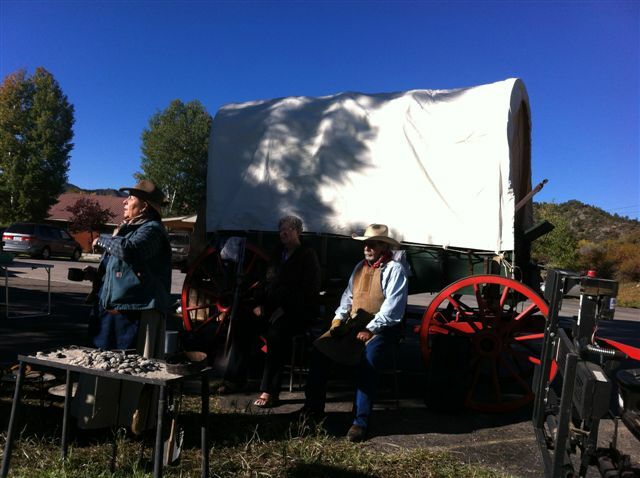 Wagon Covers Custom Made for any Wagon!We can also provide your "Hands" with Wall Tents, Cook Flys, Cowboy Bed Rolls and other old west canvas products.These custom canvas products are priced per item and your size and requirements must be called in for a price quote. Orders usually take about 2 weeks. Generally a wagon cover runs about $450.00 - $550.00. Made with real 13oz. treated cotton duck canvas, sewn in cotton loops or brass grommets, sewn in drawstrings, plenty of extra rope and you will have a cover to honor your antique wagon for years to come. A really nice 10' x 16' Authenic Cook Fly runs $375.00 and any size is available - just call. Give us a call and we will be glad to outfit your wagon and ship you your new cover! Gooseneck Style Livestock Trailer Tarp Covers for all Brands of trailers! Even "custom made or home made" bumper-pull or gooseneck we fit them all! We sell Trailer tarps all accross the U.S.A.!! We can fit any size or any brand!! These covers fit as good as they look and add weather protection and versitility to any bar top livestock trailer. They are tough and long lasting and we can provide you with a cover for any brand trailer, even if yours was homemade. We can provide you with side tarps as well. We have used these covers for years on our Ranches and know you will enjoy them on your trailers as well. Go to our Trailer Tarp Tops department for current prices or just give us a call! Hay Mower Covers at discount prices! We can fit any brand and any size! Go to our Mower Covers section and find out what we offer. You will be glad you did! Fertilizer Spreader Covers. We can fit any brand and any size! We can outfit any hopper with a heavy duty weather proof tarp. Protect your fertilizer, salt, chemical, or whatever from the weather. We want to be your source for Ag. covers and tarps. Wagon Covers Custom Made for any Wagon! We can also provide your "Hands" with Wall Tents, Cook Flys, Cowboy Bed Rolls and other old west canvas products. These custom canvas products are priced per item and your size and requirements must be called in for a price quote. Orders usually take about 2 weeks. Generally a wagon cover runs about $450.00 - $550.00. Made with real 13oz. treated cotton duck canvas, sewn in cotton loops or brass grommets, sewn in drawstrings, plenty of extra rope and you will have a cover to honor your antique wagon for years to come. A really nice 10' x 16' Authenic Cook Fly runs $375.00 and any size is available - just call. Give us a call and we will be glad to outfit your wagon and ship you your new cover! The C-C Ranch sells gooseneck trailer tarps, cattle trailer tarp tops, livestock trailer canvas tops, stock trailer covers, or tarp covers for bar top trailers. We can fit brands like: Gooseneck, Hanover, Dugan, Neckover, Banens, CM, W-W, Stidham, Performance, Delco, S&H, Hale, Ranchking, Fair West, Brutus, Bowie, custom, or homemade as well. We can outfit your trailer with side tarps also. 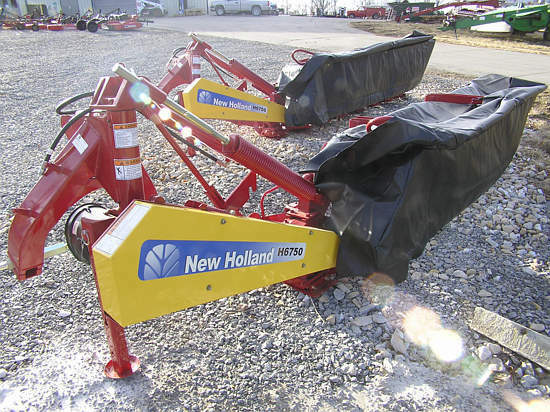 We sell covers or curtains for hay mowers or rotary hay cutters or disc mowers. We can fit: John Deere mowers, Krone mowers, Kuhn mowers, New Holland mowers, Vicon mowers, New Idea mowers, Hesston mowers, Bush Hog mowers, Lely mowers, and more. We can cover your fertilizer or lime spreader, fertilizer broadcaster, fertilizer hopper, or fertilizer buggy. We can fit brands like: Dempster, Adams, Chandler and more. 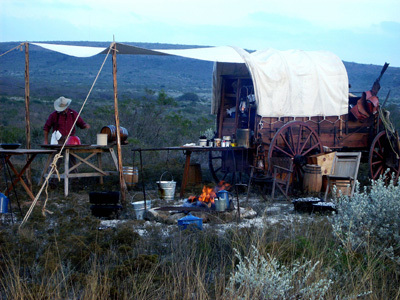 The C-C Ranch is your source for Old West style chuck wagon covers, horse drawn wagon covers, cook fly's, real cotton duck canvas for your covered wagon. We want to be your Ag. Canvas source. If you need a quality cover for anything on your spread, just give us a call! 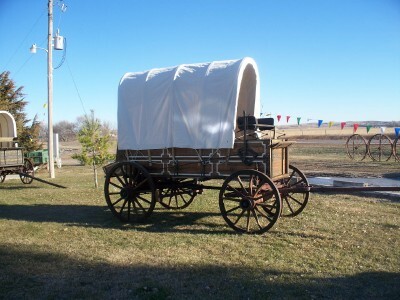 Chuck wagon covers, horse drawn wagon covers, cook flys, antique wagon covers, chuck wagon canvas tops, horse wagon canvas covers, wagon canvas covers, trail ride wagon covers, cowboy wagon covers, authenic wagon canvas covers for antique wagons, premium quality wagon canvas covers, covered wagon canvas covers, historic wagon covers, trail ride wagon covers. Located just South of Shangri La and very near Perfection. Please contact us anytime! We look forward to hearing from you. We want to earn your business!